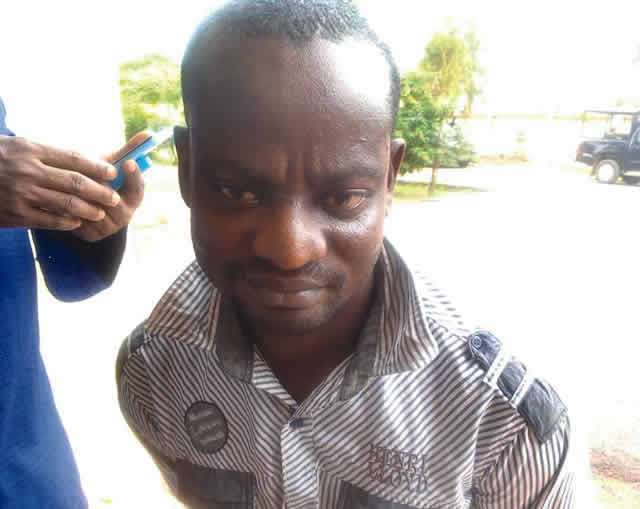 The Ogun State Police command has arrested a 36 -year -old man, Owolabi Musiliu, over the alleged mysterious death of his lover, Fausat Idowu, The suspect, who is a mechanic at the Mechanic Village in the Camp Area of Abeokuta, was alleged to have taken 40 year old Fausat, a divorcee and mother of four, to a hotel in Abeokuta for sexual pleasure when she fell ill and died mysteriously. Musiliu added that they were just removing their clothes, when the deceased suddenly has a temperature and later slumped. He added that it was when he was taking her to the hospital in his vehicle that he discovered that she had died. The police commissioner said the suspect failed to report the incident either to the police or the deceased's family but buried the remains in a shallow grave at Osara Village, close to the deceased's house, off Abeokuta Ibadan Expressway. He said it was when the suspect was arrested that he led the police to the shallow grave in an uncompleted building, where he buried the victim in Osara. When asked why he did not inform the police or the family of the deceased, the suspect said he was afraid, so he decided to hide the corpse and he later buried her at midnight. Iliyasu explained that the deceased's younger brother, Hammed Idowu, had on February 1, 2018 reported to the police that the deceased had gone to attend a christening at Bode Olude Area but did not return home. On the strength of the report, Iliyasu said detectives at the Homicide Section, were detailed to investigate the matter. He said intelligence based investigation and profiling of the deceased telephone call log revealed that the suspect was the last person she spoke with. He said the suspect was later tracked down and apprehended on March 19, 2018. He said the suspect admitted that he knew the corpse and had buried her after she died mysteriously.